Dr. Howie Brauer attended Baylor University for his undergraduate studies and earned a Bachelor’s degree in Chemistry. While attending Baylor he pursued his passion of running and was a member of two Southwest Conference Champion cross country teams. His passion for running evolved into a desire to compete in triathlons. He continued his interest in the sciences and working with his hands by attending the University of Missouri Kansas City School of Dentistry where he met his wife, Joy Brauer D.D.S. and earned his D.D.S. (Doctorate in Dental Surgery). His desire to practice dentistry revolves around the patient and service. Some of his hobby highlights include finishing the Arizona Ironman triathlon in 11 hours and 37 minutes in 2005 and a single digit golf handicap. His current passion is mountain biking. He recently finished the Leadville Mountain Biking race (100 miles in one day)! Lately he spends a lot of time caring for and playing with his young daughter who is the Drs. Brauers’ first child as of fall 2005. 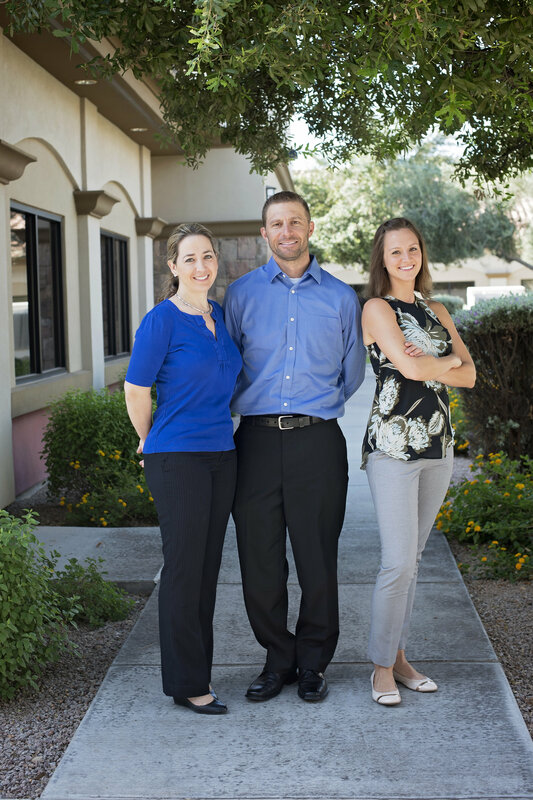 Dr. Howie Brauer is also a member of ADA (American Dental Association), AzDA (Arizona Dental Association) and AAGD (American Academy of General Dentists). "Dr. Joy or Dr. Brauer"
Dr. Joy Brauer attended both Washington University and Southern Methodist University for her undergraduate degrees. She received a Bachelor of Science in Biology and a Bachelor of Arts in Psychology. After college, Dr Brauer worked for several years in the dental field while continuing her education by working towards a Master’s degree in Cell and Molecular Biology. At this point in her life Dr. Brauer knew that she enjoyed the dental field and decided to attend dental school. Dr. Brauer completed her Doctorate of Dental Surgery (D.D.S.) at University of Missouri Kansas City where she met her husband, Dr. Howard Brauer. They then moved to Arizona to be closer to family. When Dr. Joy isn't in the office creating beautiful smiles, she is busy with her 3 daughters and their numerous activities. 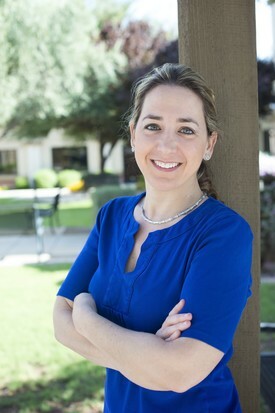 She is a member of The American Academy of General Dentists (AAGD), American Dental Association (ADA) and the Arizona Dental Association (AzDA). Dr. Joy Brauer is member of the American Academy of Cosmetic Dentists (AACD) and she is currently working towards her accreditation. Dr. Jeremy Silverman received his Bachelor's Degree in Psychobiology from The University of California, Los Angeles (UCLA) and his D.M.D. (Doctorate of Dental Medicine) from Midwestern University in Glendale, AZ. Originally from central Pennsylvania, Dr. Silverman followed in his father's footsteps in his choice of a career. From a young age, he helped at his father's office and joined in volunteer efforts, developing a strong code of ethics, a high standard of patient care, and a value of community service. While attending UCLA, Dr. Silverman was an All American Track and Field athlete in shot-put and discus with a best ranking of 35th in the world in shot-put in 2005. While he threw shot-put with his right hand, you'll notice Dr. Silverman is a left-handed dentist. Dr. Silverman partakes in continuing education and stays up to date with the newest techniques, technology, and products. 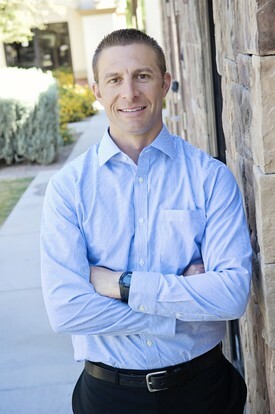 In his free time, Dr. Silverman enjoys mountain biking, hiking, music, computers and electronics. Recently married, he also enjoys spending time with his wife and their three cats.